Mysuru: With just a few days to go for the crucial May 12 Assembly polls, Union Minister D.V. 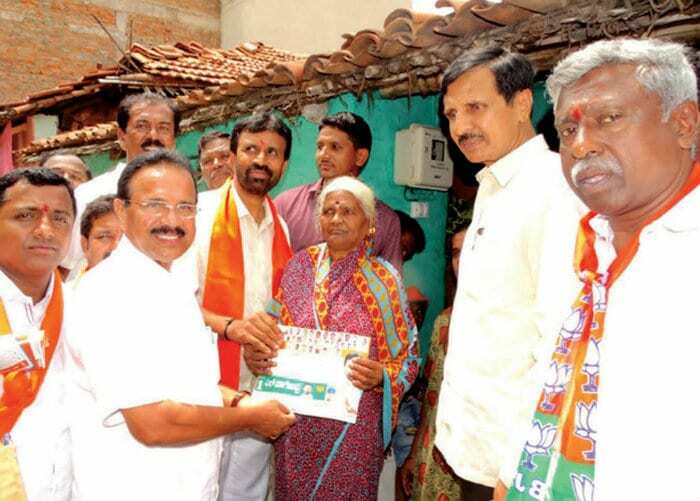 Sadananda Gowda (DVS) campaigned for BJP candidates of KR, NR and Chamaraja Assembly segments of the city yesterday. Gowda began his campaign by canvassing for KR Constituency party candidate S.A. Ramdas. The Union Minister took out a Road Show along with Ramdas in different roads of Aravindnagar and sought votes for Ramdas saying that he (Ramdas) had done a lot for the Constituency as a Minister in the previous BJP Government. 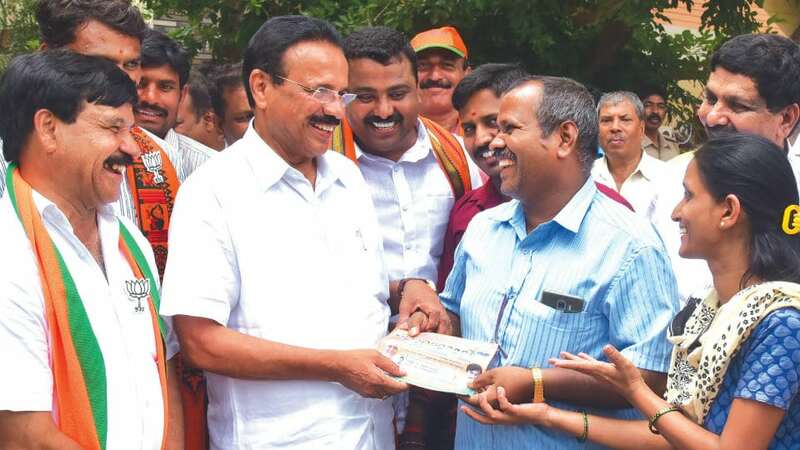 Later Sadananda Gowda, accompanied by NR Constituency party candidate Sandesh Swamy, undertook campaigning in different parts of the Constituency. Gowda went on a padayatra in Yaraganahalli and areas around Dr. Rajkumar Road and sought votes for the party. Party leaders Hemant Kumar Gowda, Yashaswini Somashekar and others were present during the campaigning. Thereafter, Gowda campaigned for Chamaraja Constituency party candidate L. Nagendra by undertaking a padayatra in K.G. Koppal and surrounding areas coming under the Constituency.